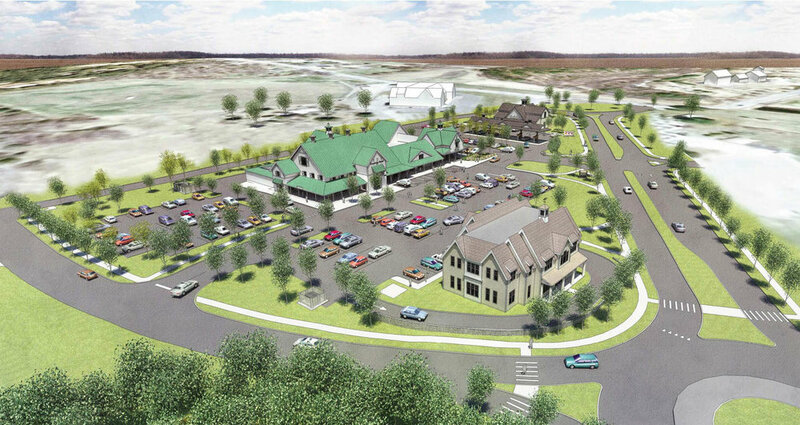 WDA Design Group was engaged by a local land-use attorney and developer to prepare a comprehensive master plan for a neo-traditional, mixed-use village on 130 acres in Berlin, Massachusetts. Working closely with town officials and residents, WDA prepared a master plan which balances conservation and development goals through careful planning and development controls. 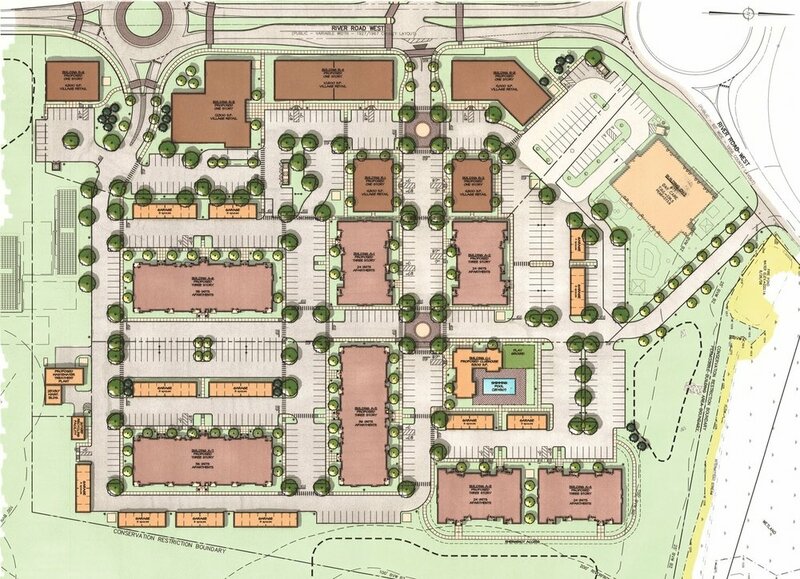 By providing a dense, concentrated mixture of neighborhood commercial, residential, and continuing care retirement uses, large tracks of open space are preserved. As a result, environmental impacts are minimized and sensitive wetland resource areas and upland areas are preserved for active and passive recreation, while maintaining the rural character of the town of Berlin. The village center is a true mixed-use environment, designed as a pedestrian friendly community. Inherently, the design creates less dependence on vehicular use with greater emphasis on sense of place and community. Shopping, dining, and service opportunities are integrated with residential uses and are located to complement one another to promote social interaction and walkability. Nearby open space amenities include two (2) miles of walking trails, a canoe launch, and a river look-out. A public parking area is also provided to afford access and use of the open space areas by neighboring communities.